Carbohydrates use the glycolysis pathway to create Actyl-CoA, the first step of the Citric Acid Cycle, in the production of ATP. Some nutrient deficiencies may slow this process. 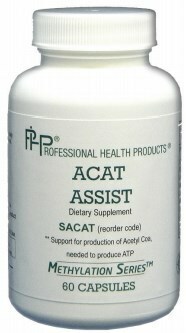 Carb Assist contain the cofactors needed for carbohydrate metabolism.